The Diocese of Nashville has developed a comprehensive curriculum and instructional standards through ongoing collaboration with teachers and administration. The curriculum at Saint Ann School fully meets and exceeds diocesan expectations. 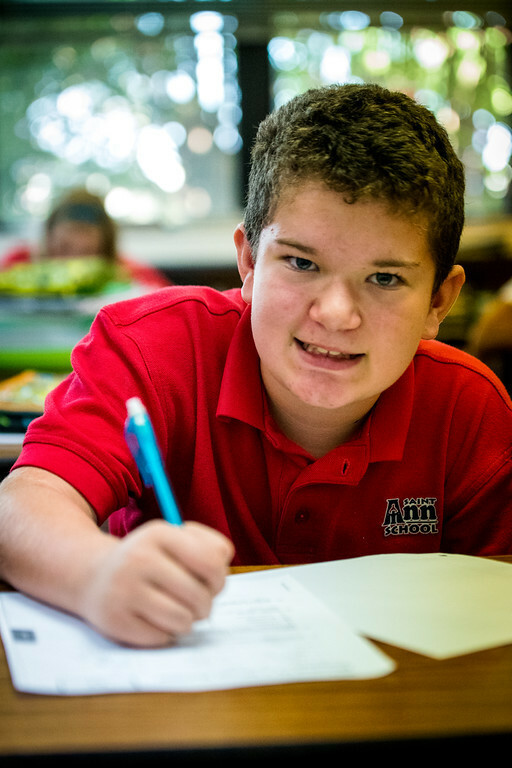 In developing our unique instructional program, Saint Ann School faculty routinely seeks state and national standards as important, rigorous benchmarks towards which to strive. Ongoing student assessment demonstrates our program is highly successful. As a school, yearly our standardized testing puts us in the top percentage of schools nationwide. Our regular student assessments, and our ongoing tracking of students performance scores, allow us to be proactive in assuring students get the instruction they need in the areas they most need it. In order to make the gains we expect, it is import ant for families to be involved nightly as students take on their homework responsibilities as a means to reinforce and solidify skills taught in the classroom. 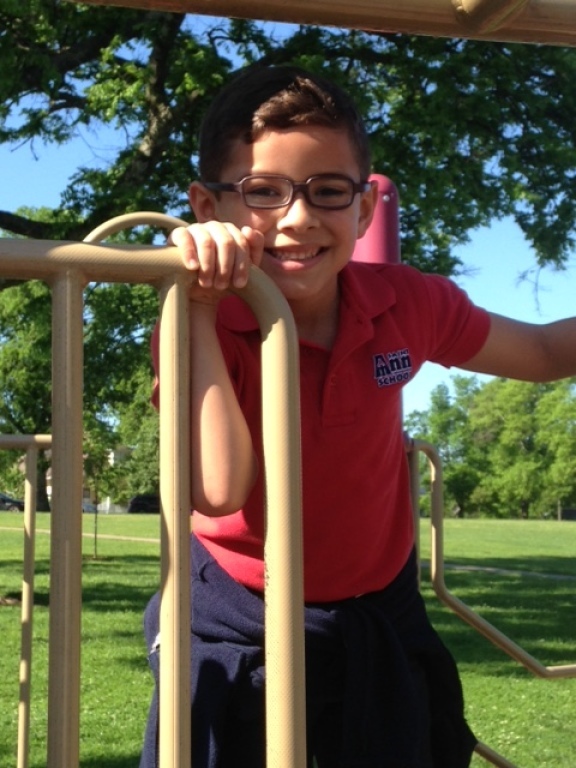 Saint Ann School offers one class per grade levels for students in grades pre-K through 8. The teacher: pupil ratio is 1:10. Grades K - 4 are self-contained, while grades 5 - 8 are departmentalized. A part-time counselor is on staff to assist students as needed. The goal of the curriculum is to work towards development of foundational academic skills, and to help students build the academic skills necessary for success in high school. Evidence of this commitment to a "forward looking curriculum" can be seen in our extensive use of cutting edge technology such as our 1:1 laptop program in grades 5-8, the introduction of classroom technology in grades pre-K -4 using Mobi pads and clickers, our foreign language program, the outdoor garden program and the emphasis on student responsibility and leadership. Core subjects form the basis of the curriculum per guidelines of the Diocese of Nashville. Instruction in religion, computer science, physical education and the fine arts are a required part of this program. Children celebrate Mass each week. Service projects in the community are an essential component of Saint Ann School. 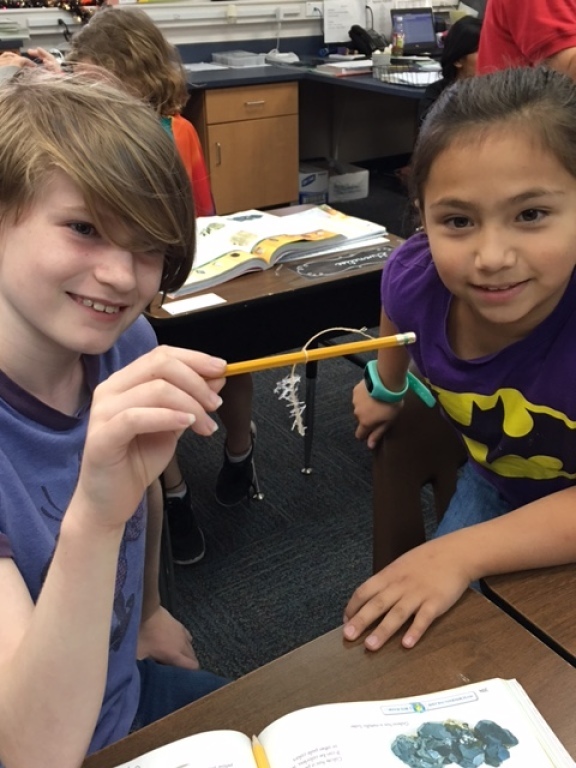 Students participate in various enrichment programs and clubs. A program of competitive sports is available under the auspices of the Diocesan Athletic Council. Self-discipline is the goal for each student. Our size allows students ample opportunity to get involved in all aspects of the Saint Ann School experience. Students are not lost in the crowd, but rather are encouraged as individuals to take on new challenges through involvement in school activities. Each year all Catholic Schools in the Diocese administer a series of standardized tests as a means of knowing each child better and thereby improving the instructional program as it relates to the child as an individual and to the class as a whole. It is not the policy of Saint Ann School to release scores of the child to anyone other than the child’s parents. Iowa Test Scores: A Tradition of Excellence. Each year, the Iowa Test of Basic Skills score puts Saint Ann School in the top percentage of schools nationwide. These tests are one of the tools we use to both evaluate the school's overall curriculum but also to assess individual student progress. For every student, we annually chart each of the fifteen subcategories on the test to ensure that students are making appropriate yearly achievement gains. The Iowa tests are designed so that the average student grows 1.0 Grade Equivalent (GE) year for each year in school. Saint Ann School students, on average, typically grow at least 1.5 years for each year at Saint Ann School. The fundamentals in each subject area need to be reinforced and developed with additional practice outside the classroom. Homework, the extension of class work, will be directly related to the mastery and application of a subject. Homework is a vital part of the learning process. Students must assume responsibility for their homework just as they will assume job responsibility in the future. Students and their parents/guardians share in the responsibility for the students’ mastery of the subject matter. The learning process is a joint effort. Homework will be discussed fully in the classroom so that students should be able to complete their homework independently. In addition, parents are provided information using RenWeb, which provides online access to grades, homework assignment and school calendar. The nature of the subject matter being taught may lend itself to different types of homework, including long range projects, independent practice of newly learned skills, reading chapters of textbooks, drills on important concepts, etc. Assignments requiring study and review are as necessary as written work. Saint Ann School strives to provide the tools both students and parents need to truly be partners in the educational process. Parents should strive to provide study conditions in the home and, as much as possible, a specific time during which homework should be done. A table, chair, good lighting, and a quiet atmosphere are helpful for good study habits. 1. Showing a positive attitude toward education. 2. Taking an interest in their child’s schoolwork. 3. Establishing good study habits. 4. Monitoring their child’s study habits. 5. Exercising patience as they encourage their child. Principal’s List: An overall average of 90.0%-94.9% and the all conduct, effort, and specials grades must be 86% or higher, a “B” or higher, or a “G” or higher. Honor Roll: An overall average of 95-100% and the all conduct, effort, and specials grades must be 86% or higher, a “B” or higher, or a “G” or higher. (Special Classes are: art, music, theatre, technology, health and fitness; they are not calculated into the GPA). Perfect Attendance: No absences, tardies or early checkouts. National Junior Honor Society: Students in grades 7-8 may be invited to join the National Junior Honor Society. To be selected students must have the required grade point average, and must display the qualities of leadership, service, character and citizenship.